Phu Quoc, also known as Pearl Island, is the largest island in Vietnam, and also the largest of the 22 islands in the Gulf of Thailand. 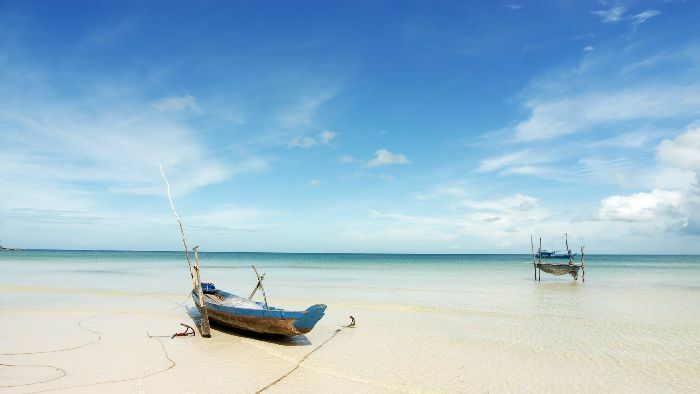 So when is the best time to visit Phu Quoc? 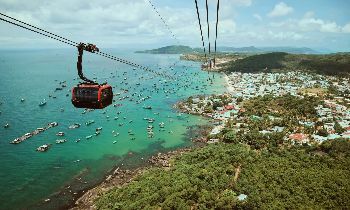 Phu Quoc Island together with other islands constitutes Phu Quoc island district under Kien Giang province. The whole island district has a total area of 593.05 km², approximately the area of the island nation of Singapore. 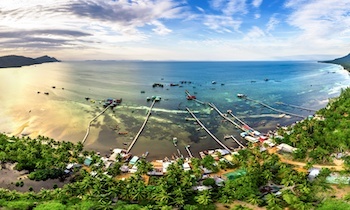 Duong Dong town, located in the northwest, is the center of Phu Quoc island. 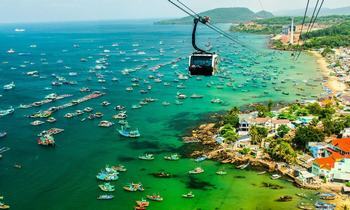 Phu Quoc is situated 120 km from Rach Gia city and 45 km from Ha Tien town. Phu Quoc terrain is very unique, stretching from the South to the North Island with 99 large and small mountains. 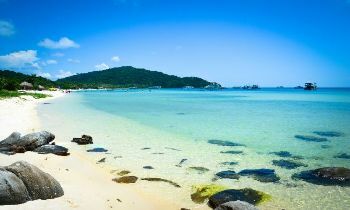 Surrounding the island, there are many beautiful beaches like Long beach, Khem beach, Ghenh Dau, Rach Tram, and Rach Vem. 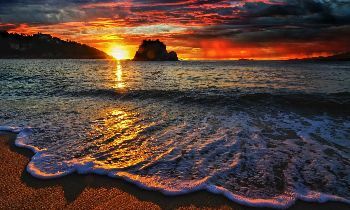 The most beautiful beach here is Long Beach, which is also one of the 10 most beautiful beaches in the world, then Sao Beach, Bai Can Beach, and Vung Bau Beach. Sao Beach is known by many tourists because of its pristine beauty and special shape like a large lake without a little ripple and peaceful scenery. Visitors can swim in beaches or climb mountains to observe the life of wild animals. Phu Quoc also has An Thoi port and Hon Thom port, which dock at domestic and international vessels to exchange goods. Phu Quoc Island is home to many historical sites. 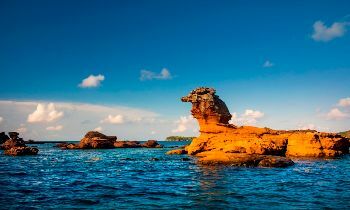 If you want to discover the pristine beauty of Phu Quoc, you should go to the north of the island. Going deep into the primeval forests, visitors will encounter an extremely rich flora and fauna with many species of birds that live in an unexpectedly wild natural setting. 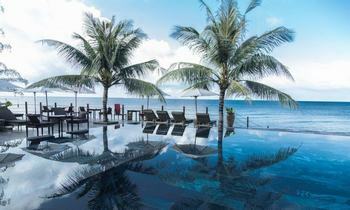 When is the ideal time to visit Phu Quoc? 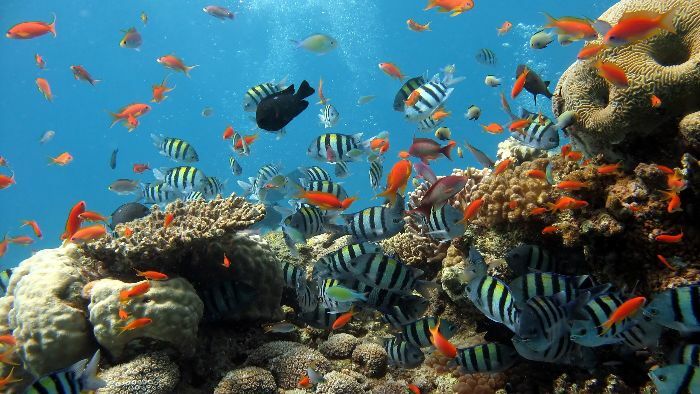 The Phu Quoc island’s monsoonal sub-equatorial climate is at its best in the November to March period. 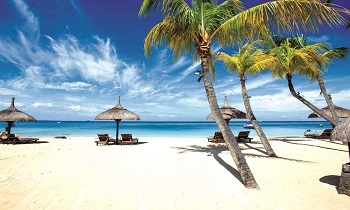 Sunny skies and consistent temperatures of 25 – 28 Celsius make it a good time to be here. On the downside, prices are high and the island becomes more congested. You will not be alone in finding your way to Sao Beach and many of the most popular hotels and resorts are heavily booked long in advance. Flights can also be a real problem. 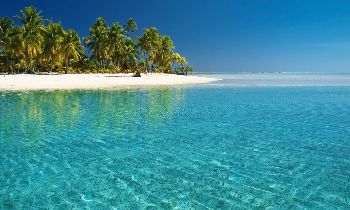 May – June and September – October can be good with less crowding, cheaper prices and reasonable odds of good weather. April and May are the hottest months with temperatures reaching 35 degrees, worth paying for air conditioning at this time of year. June and late Sept can be good depending on luck with rain. In October, many resorts schedule annual maintenance so you should check before booking. July and August are the time to avoid for most. Monsoon seasons can be very wet and wild. Under prolonged deluges, the red dirt roads turn to slippery sludge and become impassable. You may get lucky with some sunshine and prices are generally more competitive. Vietnam Airlines fly turboprop ATR72 aircraft to the Phu Quoc island. If you plan on visiting during the months of January or February and weekends or public holidays, it is worthwhile booking early as seats can sell out far in advance. 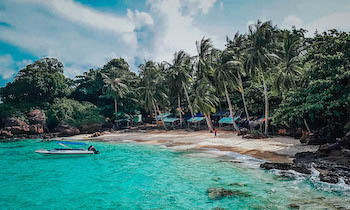 An international airport on Phu Quoc is currently in the initial stages of development, with a planned completion in 2010 and an investment of approximately US$180million. This airport will be built in Duong To Commune which is approximately 10kms southeast of Duong Dong Town and will cover an area of 800 hectares with the capability to handle large commercial jet aircraft such as Boeing 767s and Airbus A320 and A321. The new airport is forecast to receive around 2.5 million passengers annually by the year 2020. 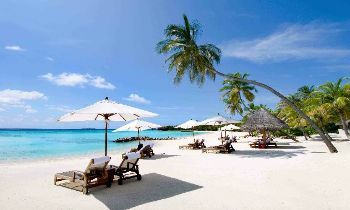 Phu Quoc island used to be considered a paradise with silky white sand beaches and dreamy islands. 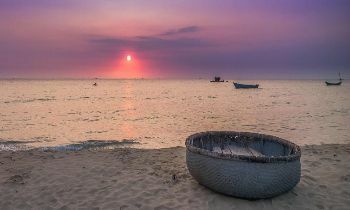 Anytime coming to Phu Quoc, you also get wonderful experiences on this island. NAVIGATE When to visit Phu Quoc?